About > The Company | The L. Warner Companies, Inc. The Warner Companies is one of the nation's leading independent, full-service ﬁnancial and benefit consulting ﬁrms serving corporations and individual clients of substantial net worth throughout the United States. We are dedicated to the highest possible level of service. This has provided the foundation of our ﬁrm and remains our guiding philosophy today. Our most valuable asset is the trust and conﬁdence of our clients and our goal has always been to exceed their expectations with superior performance and services. Everything we do is guided by this approach. The ﬁrm advises clients in every aspect of ﬁnancial planning and beneﬁts services. Our services involve wealth strategies, and include comprehensive ﬁnancial, estate, retirement, and investment planning; sports management; executive benefit planning; core employee beneﬁt planning; and, voluntary beneﬁt planning. The Warner Companies is a member of the M Financial Group, a prestigious national network of over 155 ﬁnancial services ﬁrms exclusively serving the upscale market. 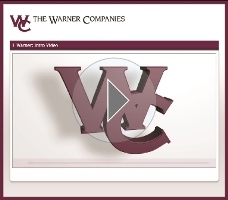 The Warner Companies is a registered investment advisor. The Warner Companies is independently owned and operated.